The Choice Plastic for Provisionals! 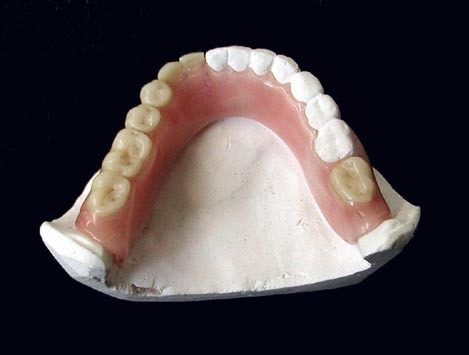 Case study of P/U right quadrant with (teeth 2-3-4-5) missing. (Figure I) Implants were scheduled and a provisional partial was to be made. Faced having to carry the palatal area past the last abutment with a metal clasp, the decision was made to use Flexite MP, a multipolymer thermoplastic. 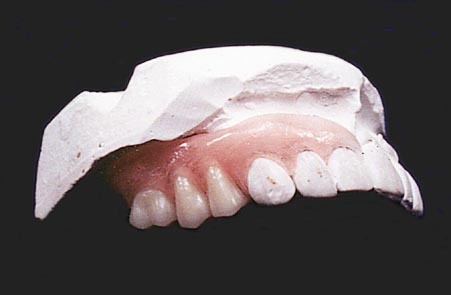 Because of its unique semi flexibility, Flexite MP gave us the opportunity to use a labial flange for retention while still maintaining esthetics. 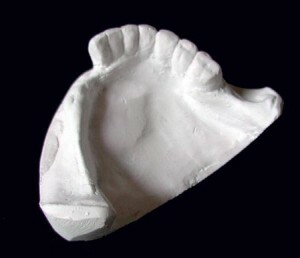 (figure II) Note interproximal adaptation. The patient was very happy because no metal clasps were visible. We complied with her wishes to keep the pallet to a minimum. This patient has developed mobility in an old 7 unit splint. 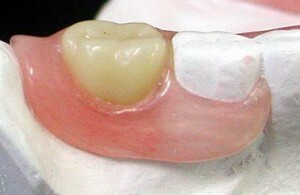 Lower right central and lateral (25-26) roots are exposed and patient complains of sensitivity to hot and cold. She is considering implants for the future but would like a transitional denture for the present. With Flexite MP we cover up the exposed roots. This is an ideal case to bring out the advantages of Flexite MP. At any time in the future, when and make it rententive at the same time. 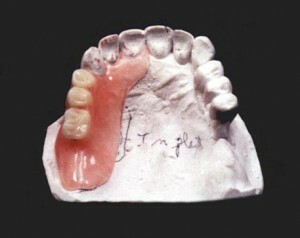 The splint is removed, the additional teeth can be added directly to Flexite MP. A chair side reline is also feasible. Partial lingual view. 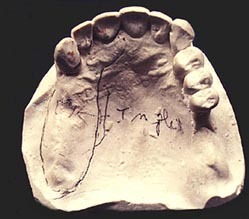 Note clasp on right molar. (30) with Flexite MP. No metal clasps are necessary. All models are surveyed, (teeth and ridges) carefully blocked out, and duplicated like a cast restoration. The results are far superior to having conventional acrylic with wrought arms and it is much more comfortable. Flexite MP is known for its clarity and dimensional superiority. It is also recommended for bruxism and full dentures. MP has the highest impact score for acrylic and will not break upon impact. 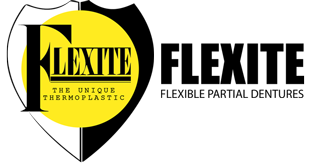 Flexite MP (multi-polymer acrylic) is a blend of monomer free thermoplastic polymers. Teeth and ridges are carefully surveyed, blocked out, and duplicated like a cast restoration. 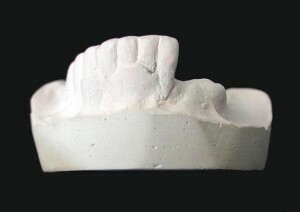 The results are superior to conventional acrylic and more comfortable for the patient. 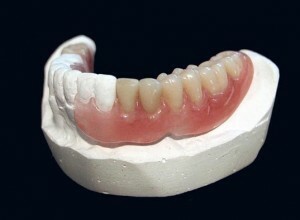 ADVANTAGES OF FLEXITE MP: Semi-flexible – Esthetic – Bio compatible Easy to add or reline – No metal clasps – Patient comfort – Injection molded – Dimensionally stable – Accurate fitting.